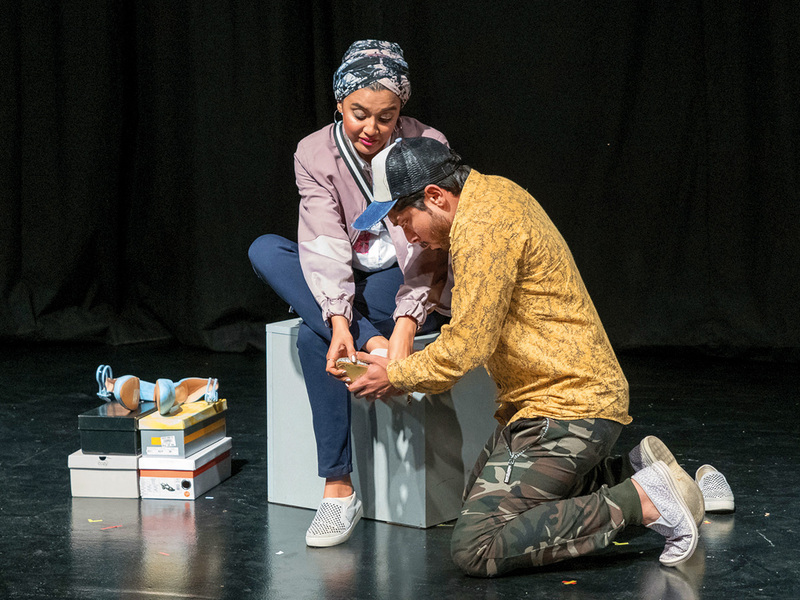 More than 200 emerging and experienced UAE-based writers, directors and actors of all ages and nationalities are participating in the seventh edition of the Short+Sweet Dubai Theatre Festival, which began on January 25 and will run until March 9 at The Junction in Alserkal Avenue. Spread across seven weekends, the event which is owned and run by The Junction will stage a 100 ten-minute plays presented by UAE-based independent theatre groups, schools, and other theatre enthusiasts. With no play allowed to exceed ten minutes theatre lovers get to enjoy a variety of plays with different moods and messages in just one evening. The presentations range from a romantic comedy with an unexpected twist, a tragic tale about terrorism to a humorous take on dealing with death and a contemplation on the meaning and purpose of life. This year, one weekend has been dedicated to non-English plays with performances in Russian, French, Urdu, Arabic, Malayalam and other languages reflecting the cultural diversity of the UAE. Short+Sweet Theatre began in Sydney, Australia, in 2002 and has since spread to other cities in Australia and around the world. It came to Dubai in 2013 and has grown from a two-week event to seven weeks this year, making it the second largest ten-minute theatre festival in the world after Sydney. The Junction also hosts Short+Sweet festivals for poetry, music and stand-up comedy and will soon launch one for film. Thanks to the event’s simple and inclusive format, it has infused the UAE’s theatre scene with new energy and played an important role in the development of the local theatre community. There is no entry fee and everybody who is interested is welcome to submit a script, direct a play, audition for an acting role or volunteer backstage. The plays are easy and inexpensive to produce because they require minimal sets, costumes and props, and the short format encourages even those with no experience to take the leap. A scene from What’s a Little Axe Between Friends, Week 2 Winner in the Wildcards category. The event is competitive with the audience and a panel of judges voting for the best performances of each weekend that go on to the semi-finals and the red carpet gala final. Festival director Sabiha Majgaonkar relies on her vast theatre experience and knowledge of the local scene to create the schedule and categorise the entries as Wildcards, performing on Saturday afternoons and Top 50 performing on Friday and Saturday evenings. To help debutants and encourage participation, this year The Junction organised free workshops on writing, directing and acting in ten-minute plays led by The Junction co-founders Gautam Goenka and Arjun Burman, and Alex Broun, a pioneer of short and sweet theatre from Sydney. The Junction also organises a writing competition aimed at generating new and original ten-minute scripts by homegrown writers. “I began participating in this event as a director from the first edition and have been organising it for two years. The Junction decided to host this event because it is fun, brings the entire community together, and embodies our motto of producing good performances by the UAE for the UAE. We want to encourage local writers, directors, actors and anyone interested in any aspect of theatre to get involved and we are happy to see increasing participation and a growing audience. This is the place where local directors scout for new talent and aspiring actors and directors get the opportunity to showcase their abilities,” Goenka says. The Dubai event has access to a bank of ten-minute scripts maintained by the festival’s international literary manager in Sydney, but there is an increasing number of plays based on original scripts written by UAE-based writers. “We are proud that our scripts are being performed at festivals in other cities around the globe, and our actors and directors have been invited to present their plays in other countries. Some have gone on to work in major local and international theatre productions and even movies. 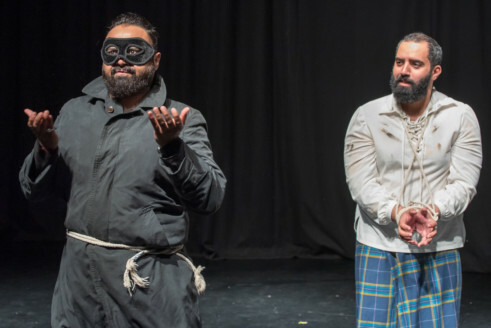 Last year an Arabic play from the Wildcard category won the judge’s choice award, which encouraged us to have an entire weekend of non-English plays this year to further support the local theatre scene,” Goenka says. Canadian-Palestinian Najwa Yassir is among those who have used the festival to test the waters. She is a moderator at the Dubai Literature Festival and was inspired by an incident at work to write and direct a play about a panel discussion on the status of women in the Middle East. Her humorous play, The Panel, won both the judges’ and audience vote to go directly into the gala final. “I wanted to express my accumulated anger about other people speaking on behalf of women from non-Western countries and distilled my anger into a play that made me laugh. Although I have been writing for a long time, I only summoned the courage to direct and present my plays because of this festival. Short+Sweet is a great way for a playwright to put themselves out there. Getting into a big project would have been too huge for me, but 10 minutes is less intimidating. Doing ten-minute plays encouraged me to think about producing some of my longer plays and I have two plays with the Dubai Drama Group coming up later this year,” she says. Many schools participate in the festival giving young performers an opportunity to be part of the local theatre community. In fact, the American School of Dubai staged its own Short+Sweet theatre event of ten plays to select the three they sent to the festival. Another debutant in this edition is 12-year-old Kripa Kotriwala who directed and acted in the play Mum Had Said, impressing the audience with her heart wrenching performance of a child traumatised by the loss of her mother in a terror attack. Her co-star was her mother Rashmi Kotriwala, an experienced actor and director and cofounder of The Junction. “My inspiration for doing theatre is my mother. She enrolled me for acting lessons at an early age and has always involved me in her productions. I made my Short+Sweet debut last year in Kolkata in a play directed by my mother and won the award for best actress. This year I enjoyed directing my mother, and even though our play was tragic and emotional it was fun to be on stage with my mum,” she says. For festival director Majgaonkar the event is the culmination of over six months of hard work. “It is a challenge to put together an event with 100 plays by professionals and amateurs. But I cannot express the joy of seeing all these beautiful stories unfold on stage and watching a powerful performance by an actor who was quite raw a few years ago,” she says.